Looking to recruit: Spriter(s)! In need of a someone who can sprite a good Gen4 battle sprite and FRLG Gen3 overworlds. Two characters are needed. Edits of existing sprites is good too! 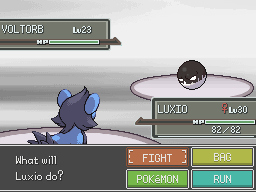 Additional Information: To put it into detail I would need two backsprites, two battle sprites and three overworlds. Expertise: Art, concept art mainly. Method of Contact: I have Discord, which you can add me easily on! I am known as Katteru in the Relic Castle server. I am free at all times, currently have nothing which is keeping me busy! Method of Contact: Discord Username Ωmega#9444. Additional Information: This is a RPG Maker Game and I have only a month to work now maybe shorter. You're on the wrong thread-this is for recruiting team members for the Game Jam, which was done almost a week ago. You can post a thread recruiting for other projects here.